Mastering Digital Flash Photography - Electronic flash - the name can bring fear to the hearts of many photographers. Yet, without it, many photos are bland, uninspiring, boring. 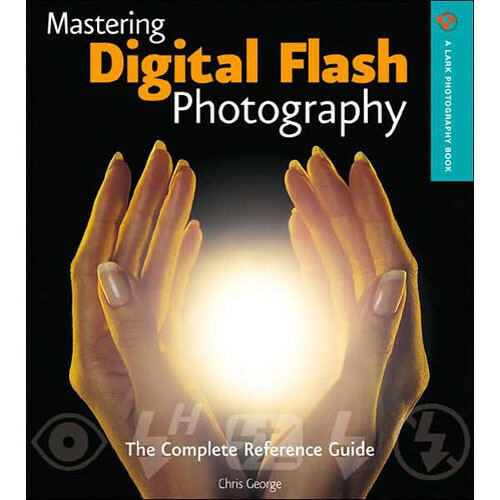 However, Chris George, in this comprehensive book, brings electronic flash down to a basic level that anyone can understand. Starting with the basics of light, he unravels the mystery of flash photography - with particular regard to the digital world. From equipment to guide numbers and from sync speeds to multiple flash, you'll absorb a ton of valuable photographic information. In simple language as well as personal photographic examples, the techniques of flash photography are simplified and explained so that you can take your photography to another level. Whether fill flash, studio flash, color balance, bounce flash, contrast, rear curtain sync or computer processing, this book will successfully lead you through the sometimes intimidating aspects of flash photography. Box Dimensions (LxWxH) 9.5 x 9.0 x 1.0"